1. I will become rich from fostering. This myth is completely false and absolutely misleading. At Roanoke County Dept. of Social Services, we do reimburse our foster families, but as we have heard from many of our current foster families, the reimbursement does not cover everything. Also, our families do not participate in fostering our children for the money, we would ask that if you are considering fostering, you would do the same. 2. Most children enter foster care because of something they did. FALSE. Most children in foster care had no say in their removal and being placed in foster care. Their caregivers could not provide a safe environment, and now they are in foster care and need a loving, flexible and patient home. Some of the children in foster care have seen more trauma than some people can ever imagine, and we need understanding families to help children cope and reunify with their families. 3. I must be married to be a foster parent. Also, false. You are allowed to be single to be a parent, and we actually encourage single parents, with a good support system, to become a foster parent. Single parents could also consider short term foster care (respite) to help foster families or children coming into care. Respite care could last for a couple of days or up to two weeks. 4. Fostering leads to adoption every time. No, adoption is not the goal while fostering because we want to try and reunify children with their families. Adoption can sometimes be a goal only after parents and relative or kinship placements are unable to take care of the children in care. We ask that our foster parents will be able to support reunifying children with their families. 5. Roanoke County Dept. of Social Services brings many babies into foster care. Although we do have some younger children and infants in care, we encourage potential foster parents looking to foster 0-4 year old children to know that there is a waiting period. Some current foster families have been waiting anywhere from 3-12 months to be offered a placement for ages 0-4. While we do not turn away willing, patient and flexible foster families, we ask that if you are looking to adopt a baby, we seek reunification first and foremost, and babies coming into care also may have suffered severe trauma or have major medical needs. 6. Foster parents much meet an age limit. No, at Roanoke County Dept. of Social Services, we do not have an age limit on potential foster parents. There is no age barrier, but we do ask that anyone looking to foster considers the physical and mental energy that comes with raising children no matter their age. 7. Children in foster care are completely broken and cannot be "fixed." This is an absolute myth. 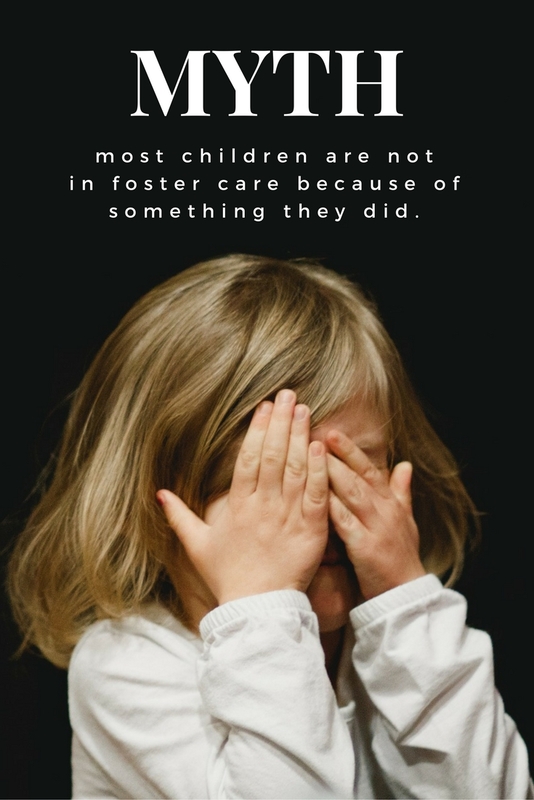 Most children who come into foster did not choose to be in foster care and could not have chosen to witness or experience the trauma they carry around. Also, children in foster care may not be happy with their situation (because they were taken away from their normalcy and their family for their well-being), and they may act out because of this. Contact us for more information and with any other questions about fostering with us.